Un des premiers casques dont on trouve la trace fut en usage dans la Garde d’honneur impériale de l’ancienne armée brésilienne, il s’agissait d’un matériel semblable à celui des cuirassiers français. Nous avons à ce jour connaissance de deux modèles, l’un, avec les initiales P1 (Pedro 1°) sur la face antérieure, entièrement en métal, avec des écailles et un dragon sur son cimier (le dragon de la maison de Bragance), entre les ailes ouvertes duquel se déploie la crinière. Dans le second modèle, beaucoup plus simple, le dragon a disparu. Il est en cuir, avec des accessoires en métal doré. Sur la partie supérieure du cimier on trouve une cocarde en cercles concentriques verts et blancs, (plus tard remplacée par une étoile jaune sur champ vert). Au dragon maintenant embossé sur les parois métalliques latérales du cimier, s’ajoute un panache et un écusson frontal arborant le numéro de l’unité. Ces casques commenceront à être en usage respectivement en 1825 et 1831. On ne connaît aucun exemplaire du second modèle qui soit arrivé jusqu’à nous. 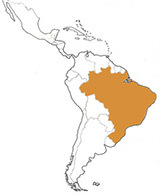 In 1821 Pedro I was crowned Emperor of Brazil, and it marked the beginning of the country as an independent state. This event was immediately followed by a disastrous war with Argentina (1826-1828), which resulted in the secession of territory which later became the country of Uruguay. 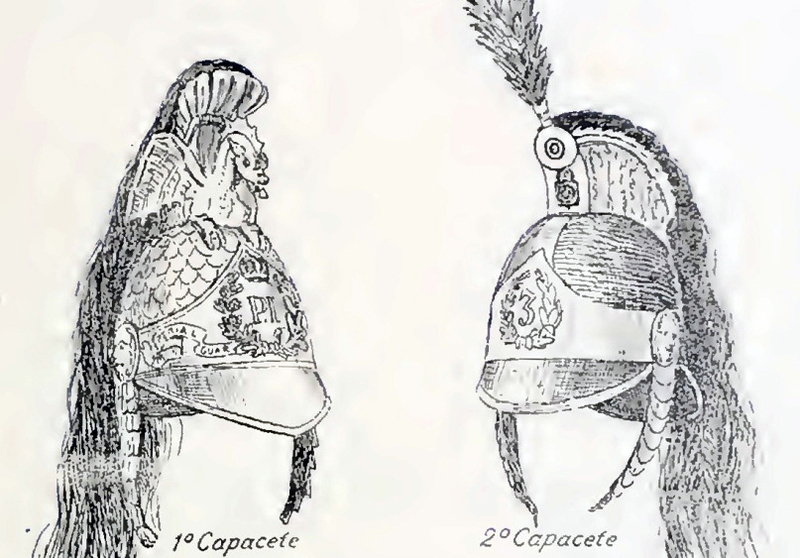 At least two models of French-style cuirassier helmets are believed to have been worn during this period (1825-1831). One sported the dragon of Bragance on its crest. The other one was similar, but without the dragon. The famous painting by Pedro Américo (1888) entitled, “Independance or Death,” shows dragoons wearing copper cuirassier helmets decorated with a black mane and a red pompon. Leather helmets appear in various illustrations. Some of these helmets were imported from France. Beginning in1889, in order to highlight the difference with the imperial period (1822-1889), the German-style Pickelhaube helmet was introduced into the Brazilian Army. Of several varieties, some of these helmets revealed a distinct Portuguese influence. With the exception of police and some other paramilitary units, most spiked helmets were replaced in 1903 with tropical helmets similar to the French M1878. During the Paulista war of 1932, with the province of Sao Paolo pitted against the Brazilian Army, the first steel helmets in Brazilian history were introduced. Created by the Paulistas, these helmets appeared in three different forms. After the defeat of the Paulistas, these helmets were distributed to the Brazilian Army. The Brodie-type helmet was retained as the standard model. Some US M1917-A1 were also imported at that time. During the same period (1931) the production of a lightweight (cork) version of the French Adrian was undertaken. More adapted to the climate than the heavy steel models, these helmets were widely used (with a variety of front emblems) until the beginning of the Second World War. Having declared war on Germany, Brazil’s Expeditionary Corps entered the fighting in Europe in 1944 and was equipped with the US M1. This helmet, issued to all the branches of the armed forces, was made standard-issue by a 1958 regulation. Some M1 clones were later imported from Austria, and beginning in 1970, others were manufactured locally. The Marines used successively the US M1917-A1 and the US M1. In the 1970s the Israeli OR-201 and OR-404 were introduced, as well as the locally made British MKV model. Marine units also wore a spiked helmet for ceremonial events. Paratroops and mountain troops initially used US helmets before turning to local versions of these models. 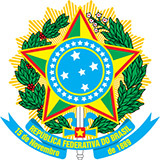 Beginning in 1993 the Army began adopting the PAGST. The first models were US-made, but soon local production was begun. Existing in two versions, it is now widely used by all the armed services. The Honor Guard (Dragons of Independence) uses an impressive French-inspired dragon helmet for ceremonial events, and for similar occasions, the Cadets of the Military College wear a very special type of lightweight helmet featuring a red star on the front. Different plastic light helmets of US M1 or PASGT-style are used by the various military units for guard duties. Tank crews have worn, over the course of years, a variety of locally manufactured and US-made headgear.